“After suffering from 6 miscarriages and 1 termination last year I felt I needed some counselling to help me through the severe anxiety I was suffering. I was referred to Tricia through another counsellor, due to her specialism in fertility and birth. I have to say, I had never heard of EFT technique but was open to trying it. Tricia and I conducted our sessions over Skype, which worked well for me as I felt safe and secure in the comfort of my home. The EFT technique helped me to work through the massive knot in my stomach I had surrounding my miscarriages and fertility. I always came away from the session feeling positive and less anxious. To help me move forward and let go of some of the hurt surrounding the losses, Tricia used a technique called REWIND, which involved me bringing my anxieties to the surface and then imagining myself in a safe, calming place. This technique helped me to move forward and view being pregnant in a more positive light, removing some of the trauma I associated with it. Since January this year I worked with Tricia through a successful pregnancy, right up to birth. Helping to keep me in a positive state of mind and also prepare for the birth. Since having baby Freddie in October, Tricia has provided excellent support and advice on breast feeding. Both the birth and breastfeeding bundles have been extremely useful. We were quite far through pregnancy by the time that we heard of a Doula but I am so glad that we discovered the concept of a doula and specifically Tricia. From our first meeting with Tricia we felt calmer and more confident about the birth. The preparation work that Tricia did with us, without a doubt, made the birth less daunting. She challenged us to rethink some of our presumptions around labour offering a wide range of evidence to support our re-education. She also made sure we thought through every possible scenario and decide what we would do in each. Due to this preparation, when the labour did not progress as hoped, we already knew what interventions we were happy with at each stage making decisions very easy when it mattered. The partner support offered by having Tricia present during labour was invaluable. Having someone there who was an advocate and supporter helped us deal with the various turns that labour took. As labour was on the long side, it also allowed my husband to have a couple of quick naps while I was never left alone and unsupported. After the birth, It was also incredibly helpful having someone else to be able to discuss the labour with as we processed what had happened and why. In terms of post natal support I cannot thank Tricia enough. Having someone on hand to answer the million questions that arose surrounding breastfeeding, sleeping, crying, postnatal healing and all the other topics even vaugley baby related has been beyond helpful. I am very pleased that we made the decision to work with Tricia and should we have another baby would hope to work with her again. I knew I wanted to hire a doula even before getting pregnant as my partner & I have no immediate family nearby and I felt we needed support to navigate through all the information regarding childbirth. I clicked with Tricia straight away and I am so glad she became our doula as her help was beyond my expectations! She is super responsive, always available and has a great understanding of what new mums go through! She kept me calm and grounded during the whole birth first at home and then crucially as I decided to transfer to hospital as I could feel my baby was not coming down. She helped alleviate my fear of hospitals and made me feel in control! I can’t thank her enough for this. After the birth, as I was sore and tired, she visited us and helped with breastfeeding and offered reassurance. Overall she is the best investment we made for the safe and empowering arrival of our wee girl. Sienna is such a happy and calm baby and I’m sure she benefited from Tricia’s kind nature as much as I did! Check out the Case Study of a beautiful birth story from Francesca. I was recommended to Tricia, through a lifelong friend, just prior to my second child being born. I had some issues / trauma from what I thought was from my previous experience of birthing. Upon meeting Tricia, I found her to be open, informative and extremely insightful. Quite quickly Tricia was able to establish that it wasn’t my previous experience and rather a loss of control that was making me anxious. Tricia recommended using EFT, which I found a powerful tool to help deescalate my high levels of anxiety. 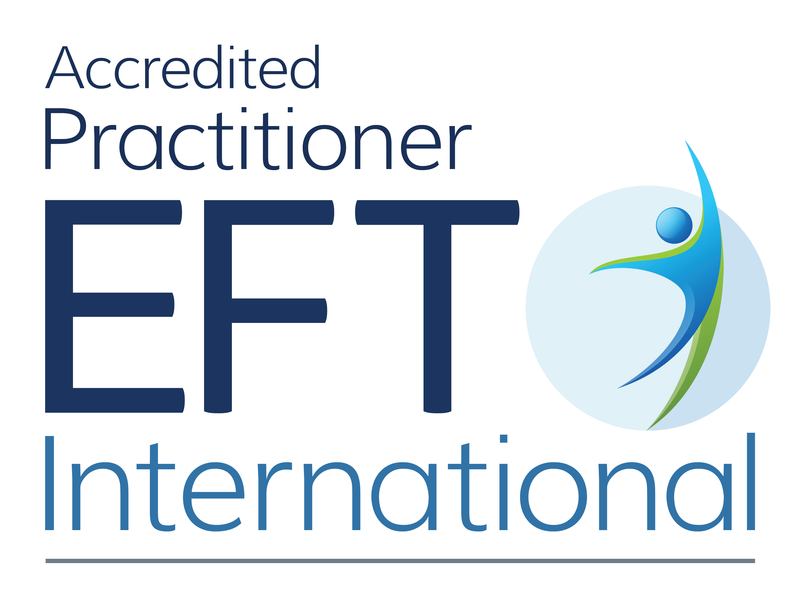 EFT is a tool you can use anywhere and at anytime. I would highly recommend to anyone who wants to gain a sense of control over any emotional difficulties that may be experienced. On a personal note I found profound changes in my emotional state after 1 session. I used it pre and post birth and will continue to use it when required. I would recommend Tricia to anyone I felt would benefit from her excellent service. I went to see Tricia as I was suffering from a horrible anxiety and my friend recommended EFT. I admit I wasn’t convinced after reading the information but I thought I’d give a go. Tricia put me at ease immediately and we worked through some of things that were making me feel edgy. Within moments of starting the tapping technique I was calmer and the session was hugely beneficial. I’ve never know something to work so well so quickly and two weeks later I still feel great, I would highly recommend giving EFT a try. I hope you’re well. Just to let you know – our baby boy arrived on Saturday 1st! I’m delighted to say that I gave birth naturally with just gas & air. Probably my proudest moment. My waters broke but I didn’t go into labour naturally within 24hrs so I was induced with oxytocin drip. That kick started a 6hr labour. I requested wireless fetal monitoring which meant I could use the bath and move around more. My boy was lying sideways which gave me acute backpain even between contractions but I managed to get through it with hypnobirthing breathing. I did use EFT tapping to calm me down just before birth and in the run up. I really do think the EFT session I had with you helped to clear out negative feelings from my previous birth. You’re right – I think tapping is a great practical method of dealing with powerful emotions that could otherwise hijack your brain! I’m so glad I found you when I did! I came across the Tricia’s Joyful Birth programme when pregnant on my second child. I was about 30 weeks and my midwife was asking more about mode of delivery and suddenly my first son’s emergency c section delivery, that I thought was “dealt with” came flooding back and all the negative elements of it were full force on my mind. I was terrified of the idea of dealing with medical staff , of not feeling listened to and having to be in hospital full stop. I didn’t know what to do with all these thoughts and feelings and just thought I’ll have to go with the flow again and hope for a better experience. Not so!! I did some preparation work with Tricia and felt I clicked with her from the start. Through chatting and tapping with EFT about my anxieties and using her endless list of people and resources, I changed from the midwife who I wasn’t happy with, decided on and organised a home birth, and most importantly got my husband on board too with the idea. Tricia gave a lot of support to my husband too by means of information, people to contact regarding his fears around a home birth. We had the HBAC birth We wanted and felt assertive and in control the whole way as a result of realising and dealing with our fears. I’m really glad I did the Joyful Birth with Tricia as I feel a lot more assertive in general around dealing with professionals even now when it comes to me or my kids. I just wanted to share what a really positive two weeks I had with Tricia’s support. I have 12 week old twins and was in Edinburgh for two weeks and looking for someone that could give me a hand over the period, just jump in and someone I could feel immediately comfortable having in my home and have help care for my boys – and I found her! Tricia has great experience with babies and clearly children in generally, has great ideas about how to settle them, sleep longer and just keep them content – although she always phrases everything as a suggestion for you to take onboard or not depending on how you feel. In two weeks I even managed to drop a feed in the night and extend my sleeping opportunities, not something I had planned but happened because of a couple of Tricia’s suggestions. I am also still using lots of her little tips that I picked up along the way. She is a lovely, caring, knowledgeable woman and would recommend her in a heartbeat. I contacted Tricia about post natal support quite early in my pregnancy when I found out I was having twins, and it was the best decision I’ve made in a long time! Before the birth, she gave us some options on what to buy, and some good advice on not buying too much. I was feeling quite daunted as a first time mum, but she gave me such confidence that things would be ok. She was such a calming influence and was a brilliant support to both me and my husband for just over 4 months in the end. In the early days she helped me establish exclusive breastfeeding and provided practical help with nappy changes, burping and settling the babies as well as helping to organise things and look after the boys to allow me a few hours of precious sleep during the day. Latterly she helped me work out how to get out of our flat for journeys in the car and on the bus and she also continued to take the boys out for a couple of hours to give me a break. Tricia has a lovely practical and gentle approach to baby care and she gave me confidence that I needed! Tricia’s help and support was invaluable after the birth of my daughter. She was there from the first day back from hospital and I don’t know if I could have persevered with breastfeeding without her advice and encouragement. Tricia went on to provide me with practical advice and support in the following weeks – and sometimes just a few hours to myself to rest! I would recommend Tricia’s services to all new mums. Tricia has been invaluable. She was a calming influence in the home and offered reassurance and advice to both me and my husband in our new roles as parents. I was determined to breastfeed and Tricia helped me to get this established quickly despite having a few problems feeding after I came out of hospital. I really can’t recommend her enough, thanks Tricia! Tricia came to help me breastfeed my twins when they were about 3 weeks old. Tricia’s manner is calm and empathetic and she understands not only the physical functions of breastfeeding but also what an emotional journey it can be. Through some minor changes in positioning and attachment, problems were resolved and I’m now managing to exclusively breastfeed my twins very successfully. Tricia has provided ongoing support over the last 7 weeks and I would highly recommend to support any new mum to breastfeed and in those initial few weeks where feeding can feel overwhelming. Having someone come to your home who has time, experience and knowledge of supporting new mums to breastfeed is invaluable. Tricia has supported me- sarah twin mum to Chloe and finlay who are 11 weeks old. She is so inviting and easy to talk too, its easy to see that she genuinely cares about you and wants to help to make things better however she can. She is very positive and really focuses on mums health as well as the babies! Her combination of professional knowledge and her experience of being a twin mum makes her perfect to help any new mum! Thanks so much tricia. We can highly recommend Trisha! She is caring, kind, considerate and experienced. Time with her and our twins is nice as it is so helpful to talk everyday things through with someone who has lived through these moments. It is also nice to have the confidence to leave your precious babies with someone you can trust!! Every mum is different as are every little baby, Trisha takes the time to understand how the mum likes things done and how to best help the little ones. James and Sophia can recommend Trisha as do my husband and I.